I'm a woman who has generally fit more into the alto range, and I haven't sung formally for more than five years. For the past few years, I've noticed that I've generally found it more comfortable to sing along along the higher portions of the tenor range. I can "make" myself sing at a slightly higher range -- for instance, I don't have too much trouble singing to the alto version of "Gute Nacht", which should be a major sixth higher. (It's in my range, but this isn't the section of it that I would instinctively sing at.) However, the timbre of my voice feels different. My voice feels a lot more "airy", when I intentionally sing at the higher section, so long as it isn't too high for me. Conversely (although perhaps this is because I'm an alto), my voice feels a lot "fuller" in the lower section. Moreover, when I "naturally" ascend to the higher portion, this difference seems slightly reduced. Is this just some normal, perhaps idiosyncratic variation in timbre, or have I hit on something more generalized (e.g. head voice v.s. chest voice)? Learning to make a consistent tone throughout your vocal range, and controlling that tone, has a lot to do with learning to control the places where the resonance of your voice is focused. Your voice comes from your larynx, but it resonates in different parts of your body. It's all mysterious and intuitive rather than strictly scientific and physiological, but you can learn to control where you voice is resonating the most. Causing it to resonate in different parts of your anatomy can change the tone or timbre. You've heard of "chest voice" and "head voice" but there's even more to it than that. The Wikipedia article on Vocal Resonation provides some descriptions and diagrams. You can learn to focus the point of resonance in different parts of the pharynx, palate, and different parts of the nasal cavity (sinuses). Controlling the position of the tongue has more to do with shaping the vowels but also has something to do with tone and resonance. 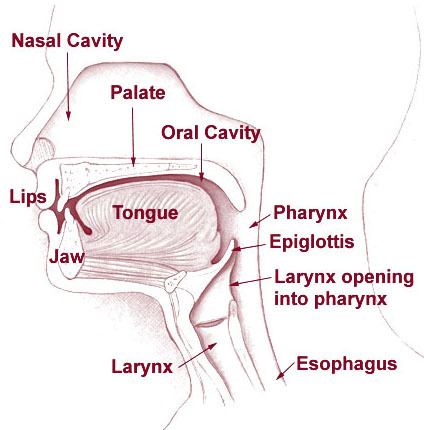 You can also learn to control and move and change the shape of your pharynx and soft palate. The movements are tiny but the effect on the tone is quite large. All of this, interactively, has a big effect on timbre and resonance (the ability to "cut through" the sound of instruments and other voices). Learning to make a consistent tone throughout your range is something you do by singing for other people, such as a choir director or voice teacher, and getting feedback on how to control it better, and then practicing what you have learned. Making recordings of yourself and listening to them helps also. You can learn warm-up exercises that help you develop certain skills. But it all comes down to intuition. You practice correct technique and eventually it becomes second nature and you don't have to think so much about being explicitly aware of the fine details of vocal production on every note. Generally speaking, you should sing with the same technique in a lower octave as you do in a higher octave. But the natural tendency is to tighten up as you go higher, in part because you may feel that you’re going to hit the top of your range. If you sing with an airy sound, generally speaking that should be because you intend to sing with an airy sound as a creative decision for a particular song or passage of a song, not because that is the only sound you can make in that register. A great exercise is to work on a song in the lowest register where you can sing it, and concentrate on a relaxed, open technique and a full, resonant sound, which is generally easier to achieve reliably in a low register. Then later move the song up the octave but use the exact same relaxed, open technique. Same diaphragmatic movements, same larynx position, same throat and mouth position — everything the same except you are up an octave. The sound should be the same except up an octave. Many times people try this and amaze themselves because they are used to thinking that high notes have to be thin or strained. It may help to lay flat on your back on the floor while you practice, which tends to align everything and keep you from tensing up. Laying on the floor for warmups is great because when you stand up you focus on maintaining that alignment and relaxation in your voice. First a disclaimer: I have never taken voice lessons nor have I sang in a formal group/choir since middle school. I sing casually for myself and my friends, and I play saxophone. The phenomenon you are describing is not unique to vocals - the same occurs when I travel through the range of my saxophone. In that case, it has a lot to do with the fact that my embouchure and air stream must change. When I play lower notes (similar to when I sing low notes), I must open my throat wider, as it takes additional air to vibrate the horn. Opening my throat like this on mid-range notes leads to a fuller sound as well. I think it allows your throat and chest cavities to vibrate in addition to your vocal chords when you sing. When playing in the high range of my horn, I must firm up my embouchure and create more of an "ee" than an "oh" with my throat. This allows for more control of the pitch (due to the logarithmic nature of frequency, smaller variations in the length of the vibrating medium have a larger effect on pitch at higher ranges - just look at a guitar neck), but it also constricts my air stream and cuts the vibrations off from my larger chest cavity. It's because you lose cord closure. Here is a summary of what's going on... In order to sing higher pitches with a sense of freedom whilst maintaining the same degree of cord closure you'll have to learn how to develop the mixed voice so that your larynx can tilt allowing you cords to stay together as you go higher and thin out instead of them pulling apart as you are currently feeling happening. When your larynx fails to tilt, what happens is you feel the voice wanting to fall apart as you go higher and higher. Then one of two things happens: You either try to force the voice to stay together by straining, or you flip to falsetto. But there is a third option, learn how to tilt the larynx and keep the voice connected. What will happen is your resonance will shift into your head, your soft palate will raise and you will feel a sense of freedom. 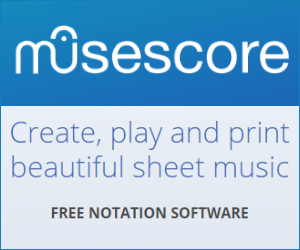 You will be able to sing all the notes you have in falsetto except your voice will be connected. It will be your chest voice but it will slowly thin out. How do I sing from chest voice to falsetto without missing notes in between? Am I stuck like this?